In many respects, 2017 was the year of resistance. People fought back. They organized. They marched. They ran for office. We covered it and struggled with how best to facilitate these conversations. In some newsrooms, we opened the door for listening and people stepped forward to tell their stories. As we close out 2017, dozens of men have been ousted, resigned, or are being investigated for acts that range from creepy to unspeakably horrible. Rumors and whispers are gaining weight and every woman I’ve spoken to agrees that something is happening. This all started with a story: brave reporting against powerful men who railed against their actions being brought to light. This reckoning will not stop with one round of sexual harassers, abusers, and assaulters. Every woman journalist has a list in their head: the names of the men they’ve seen, the men they’ve known to act terribly. The world has found power in anger and sexual misconduct is not the only act that the whisper network is starting to shout about. The racists will be next. Or maybe the homophobes. This anger with purpose has gone beyond single bad actors. More unions are forming, because this isn’t about a few bad apples — this is about a system that hasn’t always been fair. It’s a system that can make it difficult for people from marginalized communities to reach the upper ranks. It’s a system that can unfairly treat or pay young journalists. It’s a system that doesn’t allow for enough time for journalists to be with their families. What lessons will we learn from purging bad actors? Media is not just the means for the reckoning to be spread. It’s also an industry that needs a reckoning in its own right. There will be more stories of sexual misconduct that come into the light. What happens next can change the media industry. Human resources departments will have to face new realities and executives will have to face tough questions that are not just about revenues. We can decide to treat journalists fairly, equally, empathetically. We can decide to listen to the people who have been telling us something is wrong. We can listen as they tell us why they have felt marginalized, attacked, oppressed. We can choose to lift different voices up and be a model to other industries. If we make the right choices, we can truly serve the people we serve because we’ll have cleared the way for them to be heard. In 2017, I had the pleasure of moderating a panel including activist and educator Brittany Packnett. I asked her, and the others on the panel, what everyone could do to help leaders like her. Her answer? “Get out of the way.” By force or by choice, those who wield power inappropriately are getting out of the way now, and the opportunity is there for journalism to be the conduit to those who come next. We have to fix what is wrong within our own systems first, though. Every conversation I’ve had about the reckoning also has been about how small failures — in management, in culture, in support — led to the success of the wrong people and the struggles of the right people. Many of us are talking about what we can do to construct safe, inclusive, and creative workplaces so we can focus on building great journalism. This is the challenge for the next year, to remember it’s not only the stories that we produce that gains our audiences respect, but the work cultures we foster. 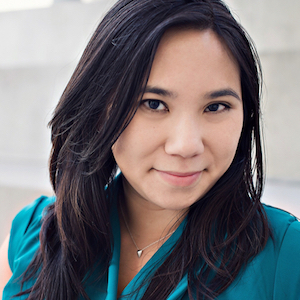 P. Kim Bui is editor-at-large for NowThis News.